Glitter, fur, velvet — even dresses made out of car parts. See the hottest looks at Detroit’s Auto Prom. 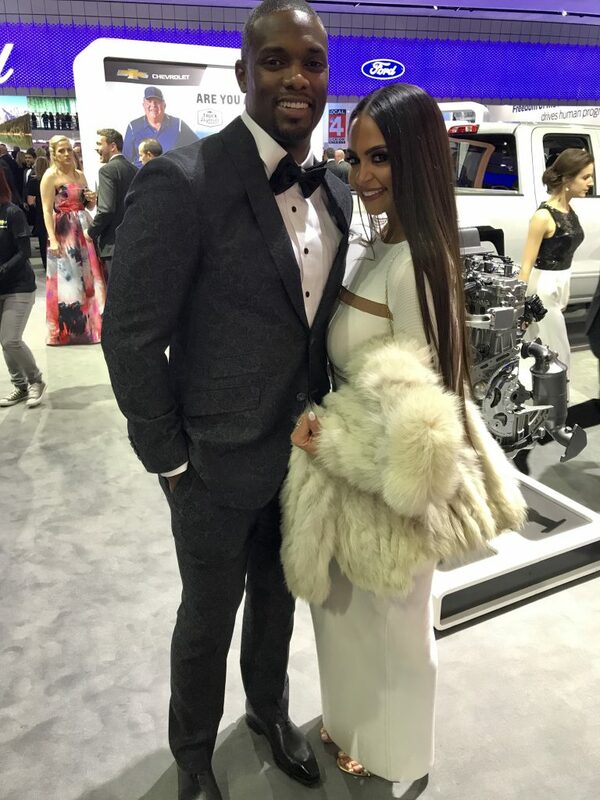 Metro Detroiters who attended the 2018 North American International Auto Show Charity Preview brought their fashion A-game. 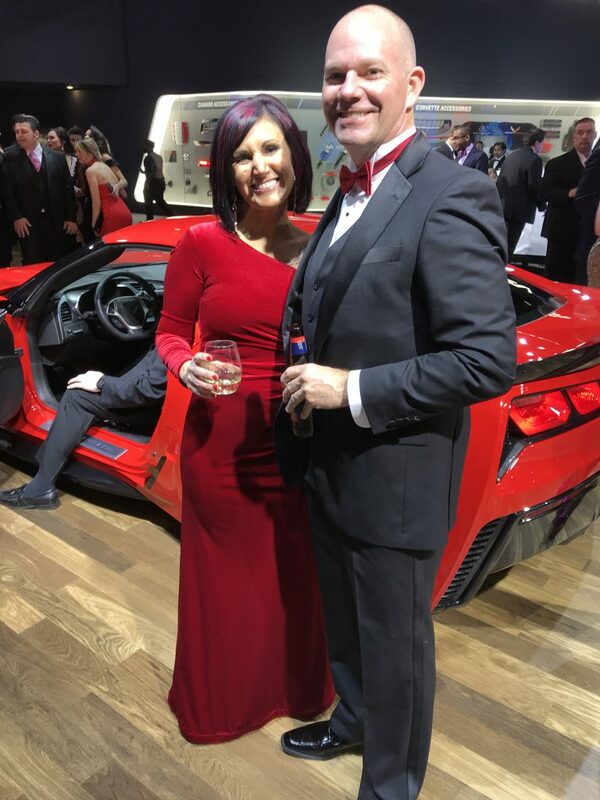 While shorter cocktail dresses were spotted on the auto show floor, the majority of women wore long gowns covered in sparkles or sequins. 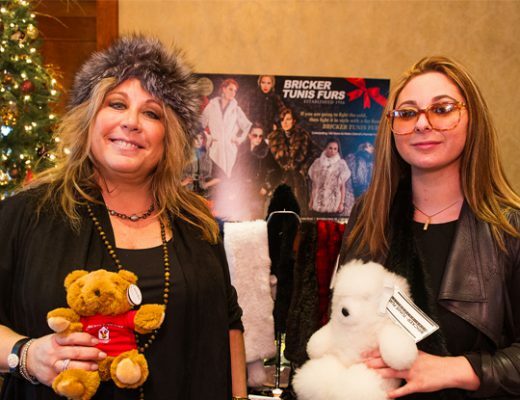 Like last year, velvet was a popular material, and women toted fur shawls and coats to stay warm. 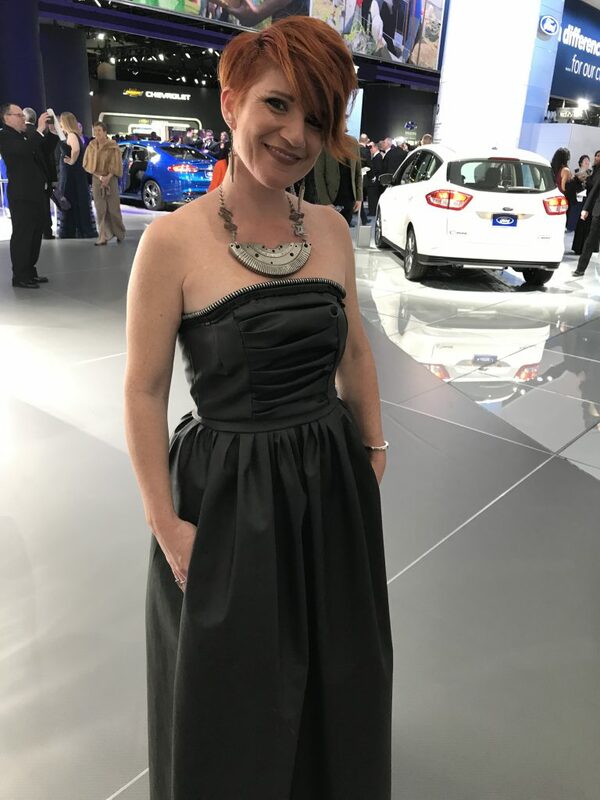 Some got creative and made their own dresses, like Janna Coumoundouros who designed a gown out of interior car materials. 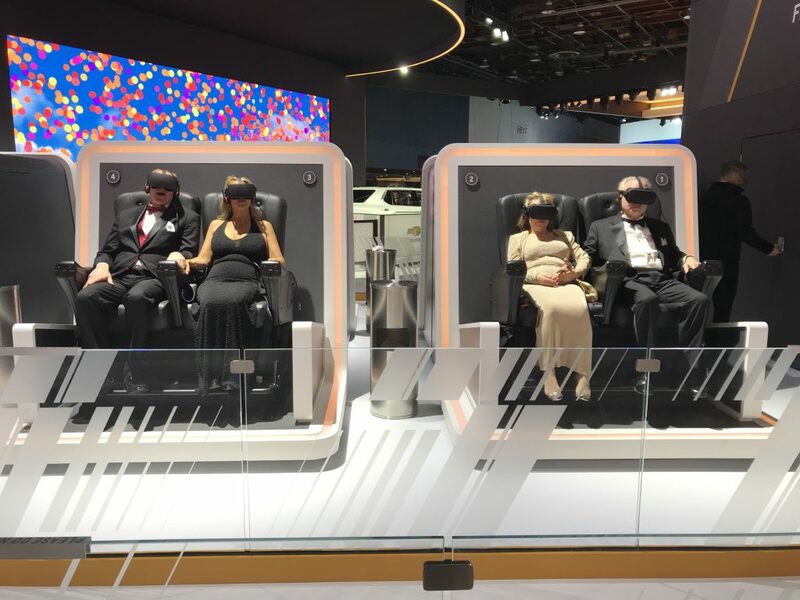 Men started to take more fashion risks with their Auto Prom outfit choices. 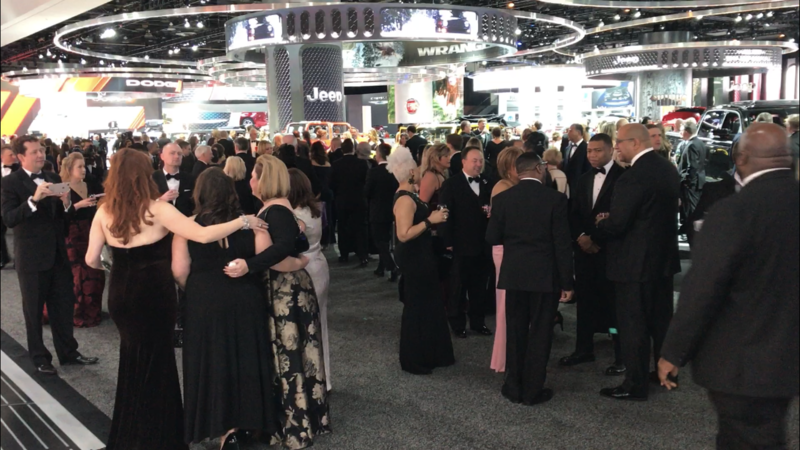 Many still donned classic black suits and tuxes, but a number of Preview-goers sported patterned jackets, bedazzled bowties and sparkly shoes. Navy was also a popular color for the guys. 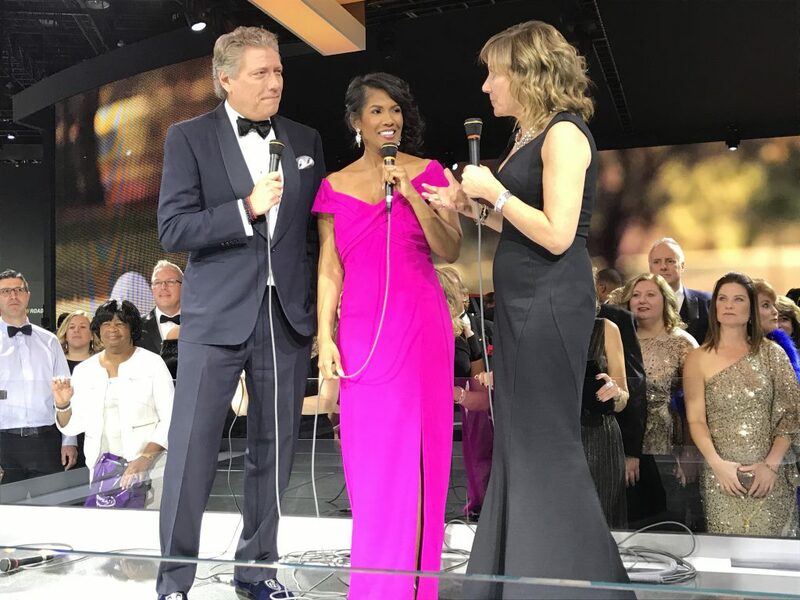 WXYZ-TV Channel 7 anchors Glenda Lewis and Dave LewAllen broadcast from the red carpet. 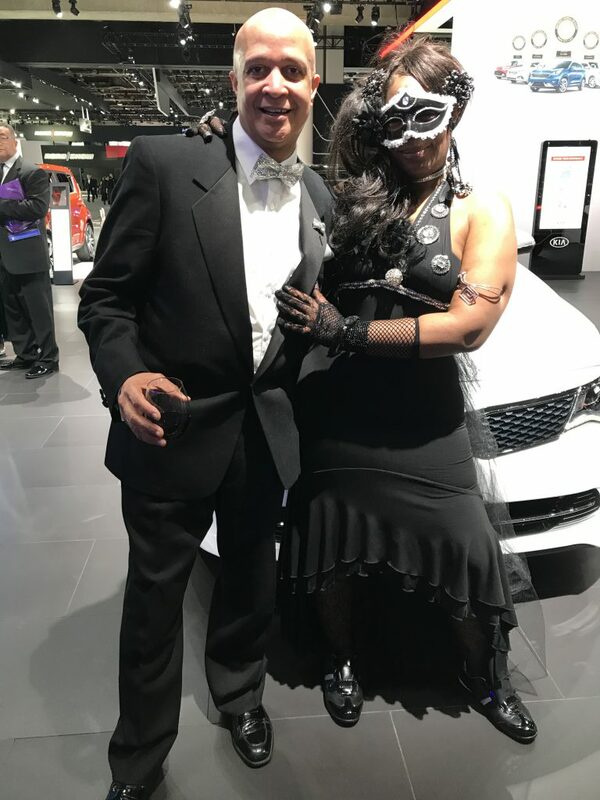 Detroiter Gary Anthony wore a rhinestone bowtie to complement Nefertiti Johnson’s outfit. 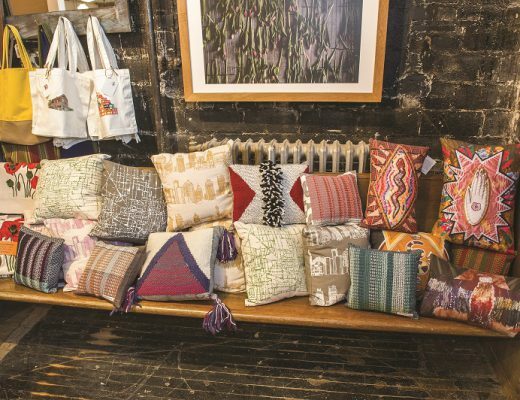 Johnson, a Detroit fashion designer, is part of a TV series called Black Rose. She says she never attended her high school prom, so this makes up for it. 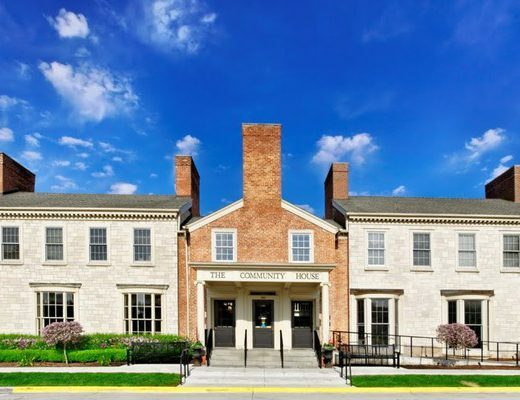 “I’m taking advantage and seizing the opportunity,” she says. 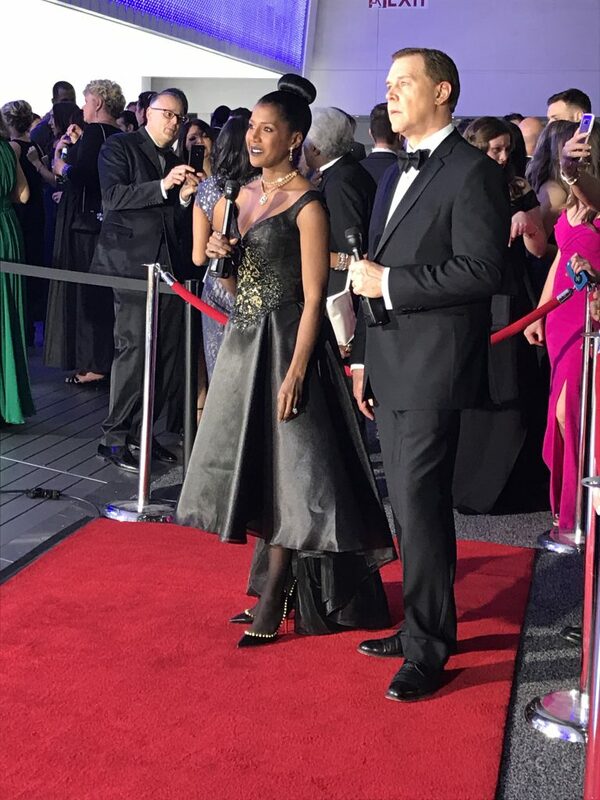 WDIV-TV Channel 4 anchors Devin Scillian and Kimberly Gill broadcasting live at the Charity Preview. Gill chose a popping fuchsia gown. Cliff and Dana Stewart of Royal Oak. Dana found her dress on Amazon for only $50. 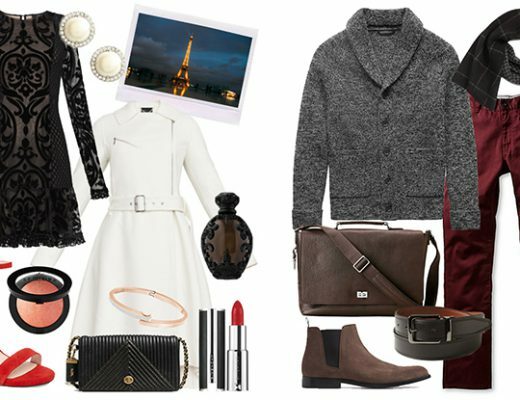 “The cost of alterations was more than the dress,” she laughs. 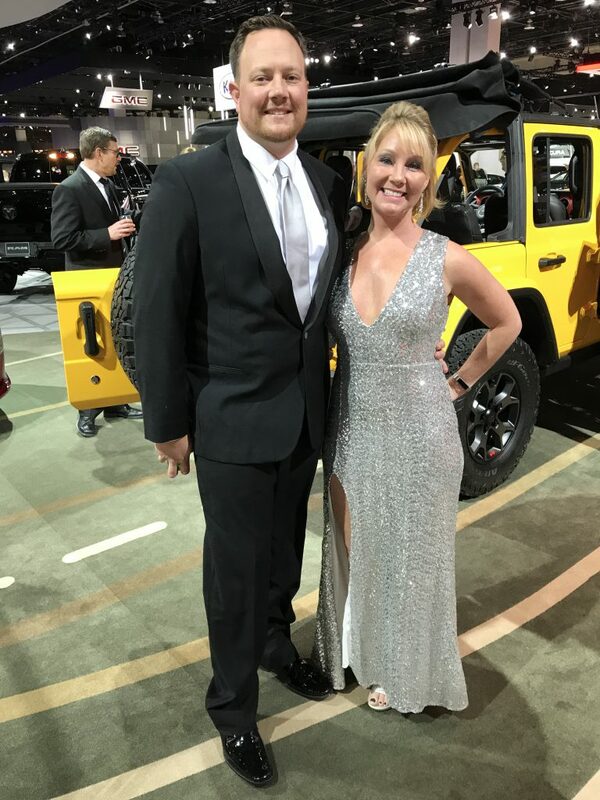 Kellie Rowe of Fox 2 Detroit and Brian Manzullo of the Detroit Free Press. 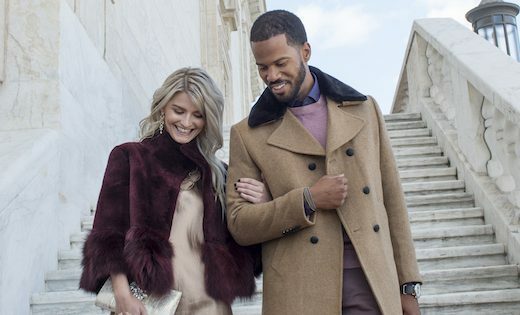 Rowe sparked in a glitter-covered gown from the store Windsor. Detroiter Ron Bartell found his patterned suit from Times Square on Livernois in the Avenue of Fashion. 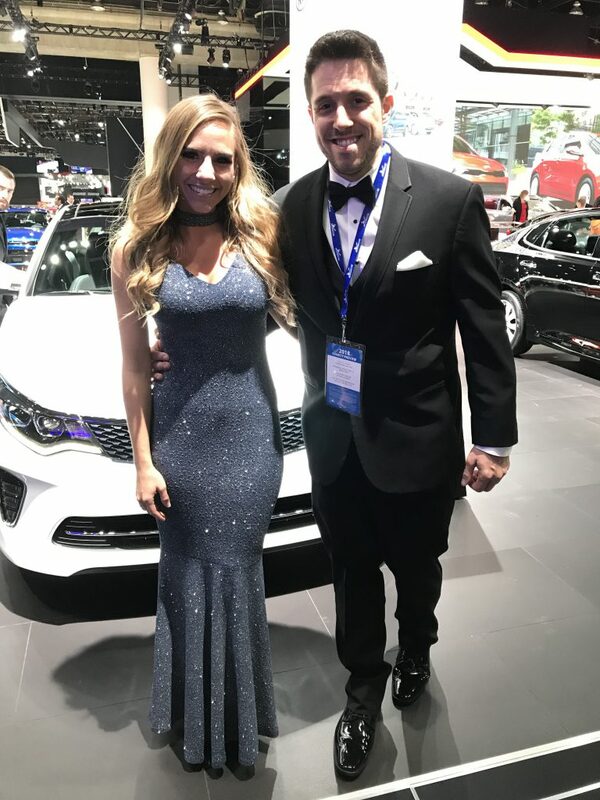 Detroiter Megan Moslimani got her gown from House of CB. 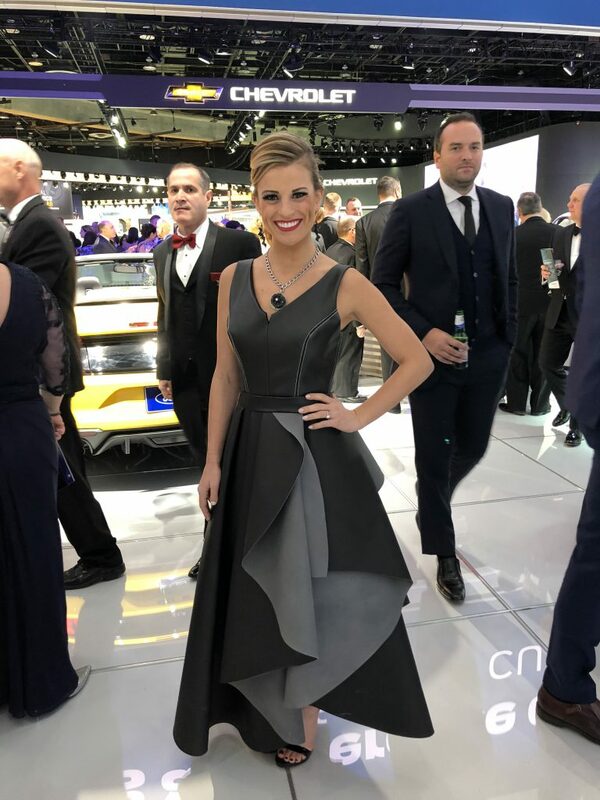 WDIV-TV Channel 4’s Kim DeGiulio wears a dress made out of automotive interior materials that was designed by Janna Coumoundouros. 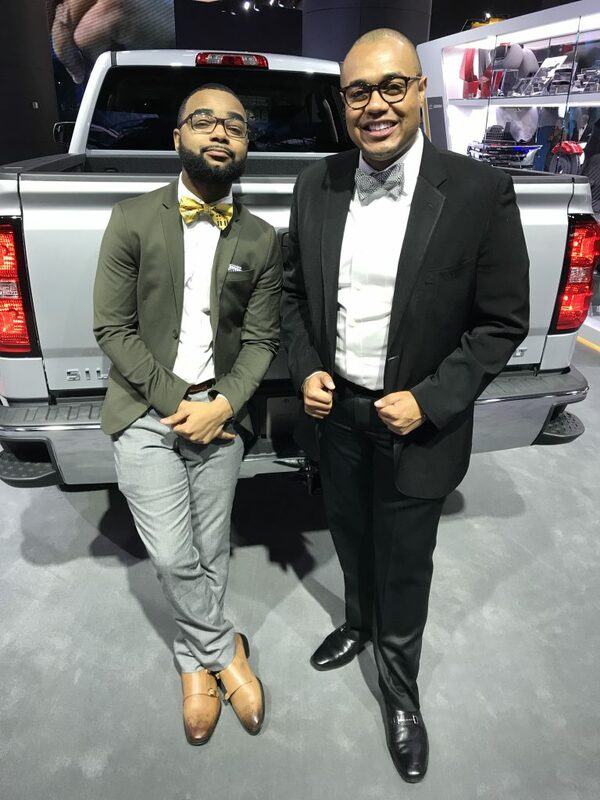 Detroiters Tony Barrett and Dexter Mason look dapper in bowties. Mason sported glasses from Warby Parker in Detroit. Clarkston residents Becky Carr and Jim Pastor were among the many attendees wearing velvet. Pastor’s bowtie was velvet to match Becky’s velvet gown. 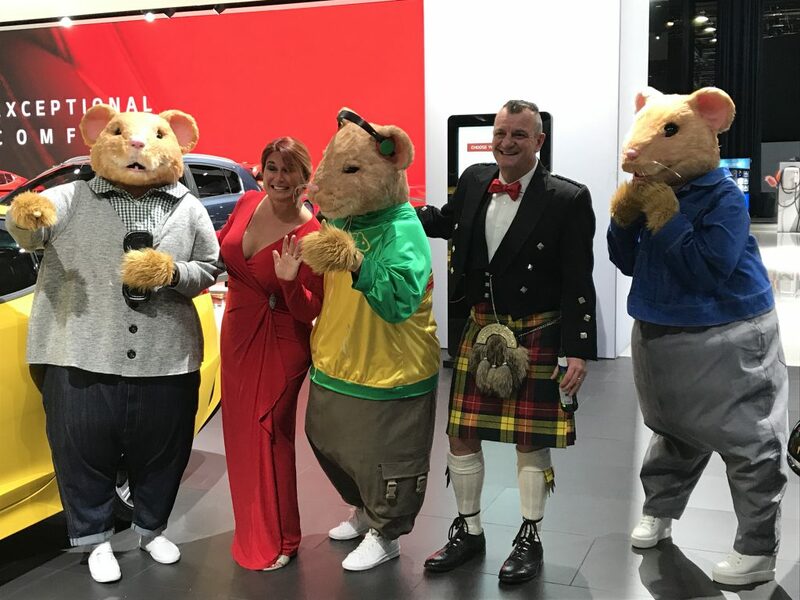 Michelle and Kevin Hileman of Milan have fun taking pictures with the Kia “HamStars.” Michelle wore a Ralph Lauren gown, while Kevin wore his signature kilt he wears to each Charity Preview. Charity Preview attendees have fun with virtual reality technology.